In 1980, two young men start the same community college and soon discover, after being mistaken for each other several times on campus, that they are twins. Their story gets crazier when they learn they have another brother, which makes them identical, separated-at-birth triplets. The trio becomes internationally famous. Then, as the documentary's trailer alludes, there is a dramatic twist, one that "unearths an unimaginable secret that has radical repercussions." Word of warning: This is a strange-but-true story and there are spoilers aplenty out there on the internet. What I'm saying is, if you don't already know the story, don't go researching it now before seeing the film. 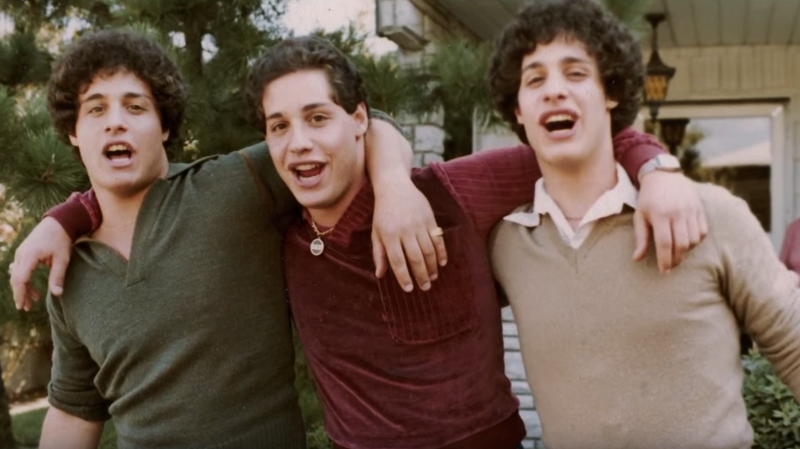 Three Identical Strangers premiered at Sundance and has a U.S. theatrical release date of June 29.